Last week, during the OpenStack Summit that was held in Portland, Oregon, a 55 year-old soviet satellite was spotted a various indoor locations. Rumor has it that the satellite was named after a project at Dell to create a developer client-to-cloud platform. 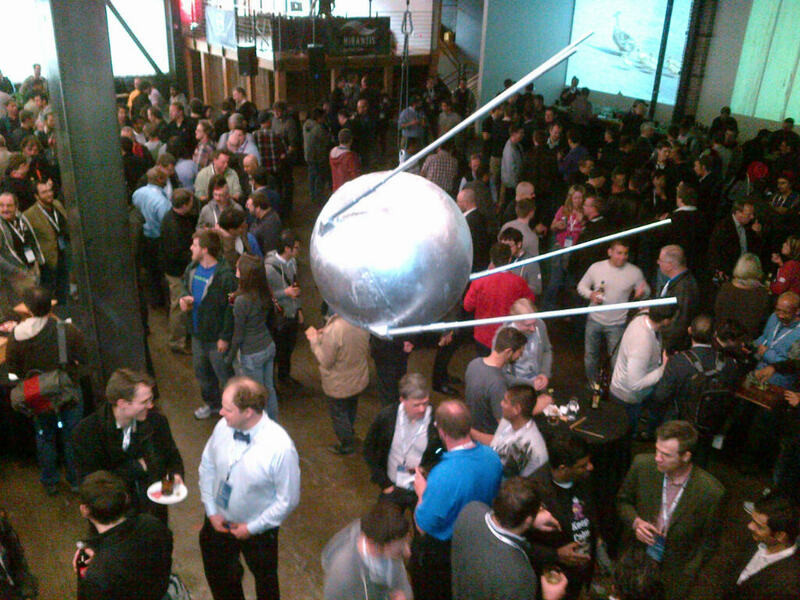 Sputnik satellite streaks through warehouse where Mirantis/Dell party is held during OpenStack summit. 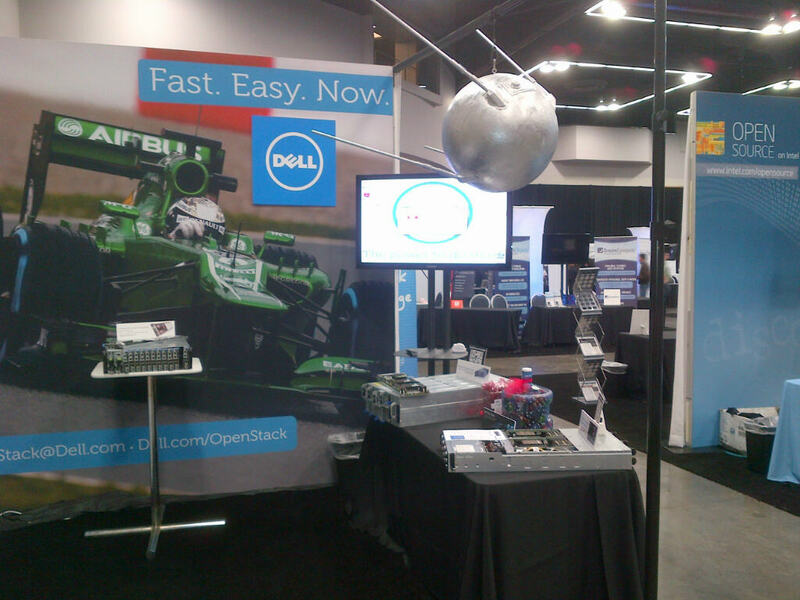 Sputnik satellite spotted hovering above Dell booth on the expo floor at the OpenStack summit. This entry was posted on Friday, April 26th, 2013 at 10:50 am and is filed under Uncategorized. You can follow any responses to this entry through the RSS 2.0 feed. You can leave a response, or trackback from your own site.